OAKLAND, Calif. -- CC Sabathia came off the disabled list to pitch six innings and become the eighth player in the modern era to win 100 games or more with two teams, and the New York Yankees beat the Oakland Athletics 8-3 on Friday night. Carlos Beltran doubled three times and drove in three runs, Jacoby Ellsbury added two RBIs while Ronald Torreyes had a two-run triple during a five-run fourth inning to help the Yankees to their second straight win in this series after getting swept by the A's in April. Sabathia (3-2) was just as sharp as he was in his previous start before going on the disabled list with a groin injury earlier this month. The big left-hander allowed one run, three hits, walked one and had a season-high eight strikeouts for his first victory there since 2012. The win was Sabathia's 100th in New York pinstripes. He also had 106 victories with Cleveland to join an illustrious list of players that includes Hall of Famers Nolan Ryan and Greg Maddux to win 100 or more with two teams. Oakland scored its only run off Sabathia in the second on Matt McBride's two-out single. The Yankees gave Sabathia plenty of support in the fourth inning when they batted around. Torreyes tripled in two runs to break a 2-for-23 slump and he scored on a wild pitch. Beltran's second double of the game knocked in Ellsbury and Brett Gardner. Beltran added an RBI double in the sixth. 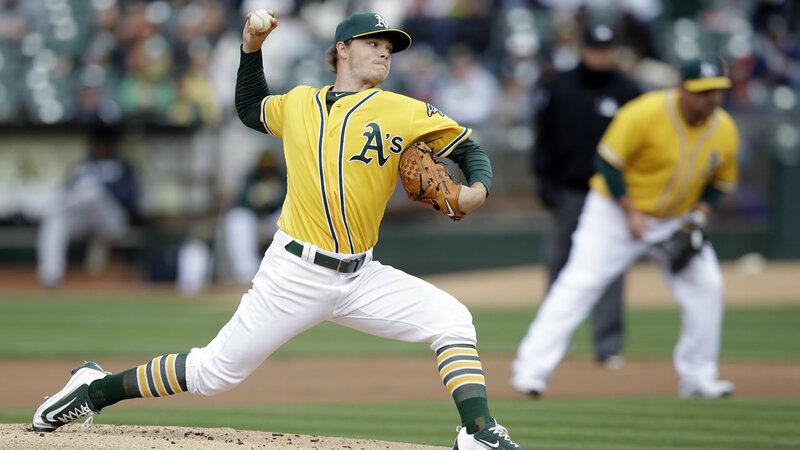 Most of the damage came off Oakland starter Sonny Gray, who gave up five runs in 3 1-3 innings. Gray (3-5) continued to have command problems and was knocked out of the game after retiring 10 batters. He walked four, struck out three and threw three wild pitches in his shortest outing of the season. Two of Gray's walks and two of the wild pitches came in the fourth. The A's ace is 0-4 with a 10.38 ERA over his last five starts. Oakland committed three errors to raise its AL-leading total to 34.